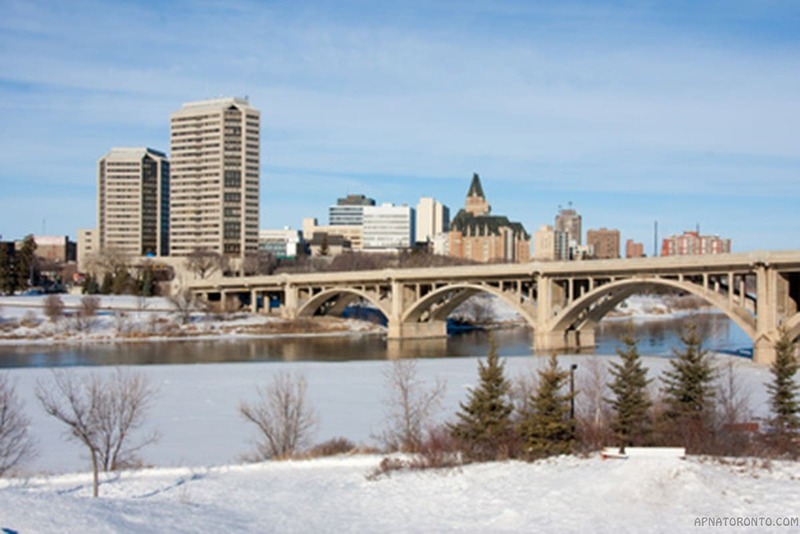 The Saskatchewan Immigrant Nominee Program (SINP) is designed to allow the government of Saskatchewan to facilitate and expedite applications from non-Canadians who are interested in settling and working in Saskatchewan. If an applicant fulfils the criteria for immigration laid down by the government of Saskatchewan they will be nominated to Immigration, Refugees and Citizenship Canada as a suitable person to be granted permanent residency. The applicant must make their own application to the IRCC and the IRCC has the final say over all permanent residency visas. There are four separate categories for applicants to the SINP as detailed below. It is important to note that any person who is applying for refugee status, has had refugee status declined or is contesting a removal order is not eligible to apply. This category is for potential immigrants to Saskatchewan who are experienced farmers and wish to purchase and manage a farm in the province. Applicants must prove that they have sufficient funds to do this by demonstrating a net worth of $500,000 and making a refundable good-faith deposit of $75,000. Applicants must prove that they are capable of taking on and managing an agricultural business by showing evidence of education, training and previous experience. It is required that an applicant should make an exploratory trip to Saskatchewan for at least five working days, during which time they should meet with a SINP representative. An applicant should provide a detailed and workable plan for their farm. A subcategory in this area is the Young Farmer Stream, for applicants under the age of 40. These applicants must have a minimum net worth of $300,000 and have at least three years experience in only a farm, managing a farm or working on a farm. You must demonstrate that your proposed farm will be able to generate at least $10,000 per annum in revenue and that you have skills which will enable you to find employment which will supplement your farming income if necessary. – People who are already working Saskatchewan have been doing so for at least six months on a valid work permit. Their employment must fall into the National Occupation Classification Matrix under 0, A or B or fall into a designated trade (a list of designated trades can be found here: http://saskapprenticeship.ca/quick-links/designated-trades/). – Physicians, nurses or other health professionals who have been working full-time in Saskatchewan for a minimum of six months on a temporary work permit and have a full-time job offer. – Hospitality workers operating in the following areas, food/beverage server, food counter attendant/kitchen helper or housekeeping/cleaning staff. Applicants must have been working for an SINP Hospitality – approved employer for at least six months on a temporary work permit, have a minimum of a Grade 12 education or equivalent and Canadian Language Benchmarks level 4 in listening, speaking, reading and writing in English. – Long haul truck drivers who have been working for an approved Saskatchewan trucking firm for a minimum of six months on a temporary foreign work permit and have been offered permanent employment. Applicants must hold a current Saskatchewan Class IA driver's license and have attained at least Canadian Language Benchmark level 4 in listening, speaking, reading and writing English. – Students who have studied for at least one academic year at a recognised Saskatchewan postsecondary educational institution and achieved a certificate, diploma or degree and who have been working for at least six months on a valid post-graduation work permit. Applicants must have a full-time permanent job offer relevant to their field of study. Those who have studied in recognised post secondary institutions in Canada outside Saskatchewan may also apply provided they have at least six months of work experience in Saskatchewan on a valid post graduation work permit. This category is for applicants who are interested in starting, taking over or taking up a partnership in, a Saskatchewan business candidate should begin by making an Expression of Interest by providing information which will allow the SINP to assess their suitability. The minimum entry criteria for this category is to have a minimum of $500,000 net worth and to be intending to invest a minimum of $200,000 in a Saskatchewan business ($300,000 in Regina and Saskatoon). Additionally candidates must have, in the previous 10 years, at the least three years of relevant experience in business management or entrepreneurship. Those who are invited to apply will be asked to provide a business plan for scrutiny, demonstrating that they will be involved in the day-to-day management of their business and that they will own a minimum of one third of the equity (unless their investment is over $1 million in which case any proportion of equity is acceptable). Skilled workers who have a job offer for their occupation in Saskatchewan that is full-time and permanent. Applicant will have to score 60+ on the SINP assessment grid, which can be seen here: https://www.saskatchewan.ca/residents/moving-to-saskatchewan/immigrating-to-saskatchewan/saskatchewan-immigrant-nominee-program/applicants-international-skilled-workers/assess-your-eligibility. They must have worked for a least a year in the last decade in their chosen occupation and have a Canadian Language Benchmark score of 4 or higher. This is for skilled workers who do not have a job offer but who are offering a profession that is in demand in Saskatchewan. The criteria are the same as for the Employment Offer application above, with the additional requirement of at least one year's post secondary education training or apprenticeship matching Canadian standards. Note: as of November 2016 Saskatchewan is not accepting applications in this category, though it may be reopened in future. The requirements for this category match those of Occupation In-Demand above with the additional requirement that the applicant should have proof of funds enabling them to settle in Saskatchewan and a settlement plan. Applicants using this route must have been accepted into the IRCC’s Express Entry Pool, have an Express Entry profile number and Job Seeker Validation Code.